I love this time of year… yes the holidays! Because there are always amazing vegan potlucks and great times to share with family and friends. I have always loved anything almond or sesame inspired especially when it is combined with sweet. These cookies are super fun and easy and are kind of cheating because I use a cake mix. I typically don’t have sugar in the house and I was almost out of medjoul dates, but I really wanted something sweet. I did have Bob’s Red Mill Gluten Free Vanilla Cake mix so I used some of that to be the base of these super chewy cookies. I took these to a vegan white elephant Holiday Party and they were a hit, everyone kept asking for the recipe and here it is!!!! 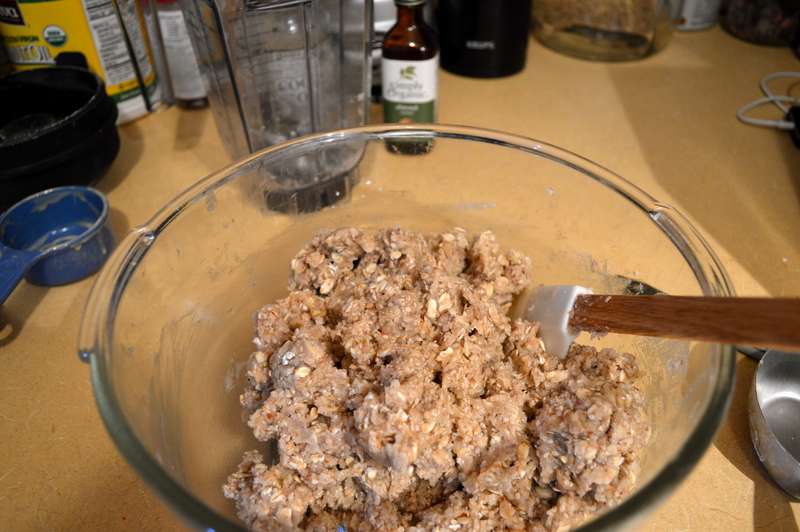 Mix all dry ingredients first and then add the tahini (ground sesame seeds) and water. Slowly mix it up and you may need a couple more teaspoons of water to achieve the right cookie consistency. 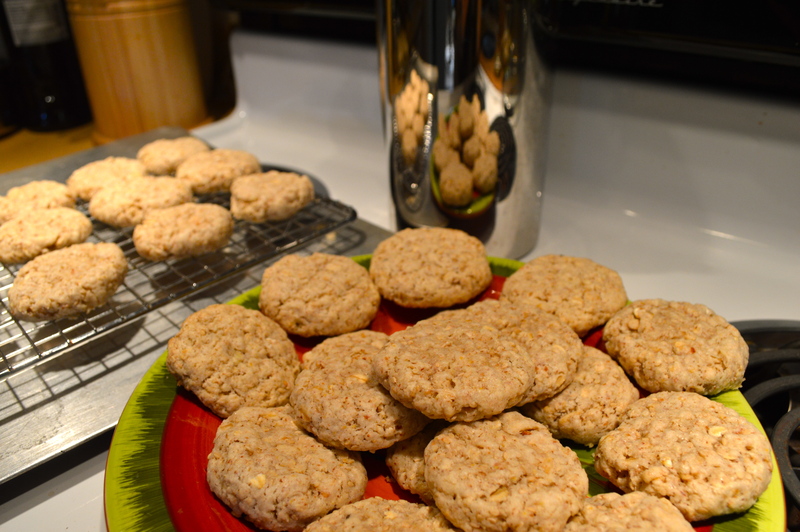 Roll into balls (slightly smaller than ping pong balls) and you will get about 3 dozen cookies. ← My DJ Husband Likes Beets!! !